Morning Radio Zoo co-host and part-time sports writer Eric Francis had a gem of a column today when it comes to what he's been able to put together. In his recent piece, Francis said that Flames goalie Miikka Kiprusoff should have been more forthright with the Flames about his impending retirement rather than have the news break thanks to the Finnish media. Also, Kipper should have done more of an exit for the organization, fans, and community. Of course, Francis forgets that whole thing about Kipper saying he wouldn't show up if moved at the trade deadline, but who needs to remember that to put out a story about how he personally feels let down that Kiprusoff didn't make a bigger exit. 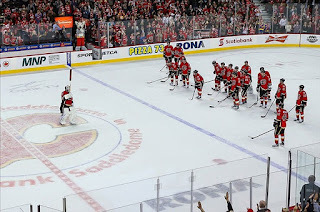 And forget that on April 16th, Eric Francis knew that this was Kiprusoff's last home-stand and on April 17th reviewed Kipper's last game and wrote, "The end is near ­-- one day away in fact. 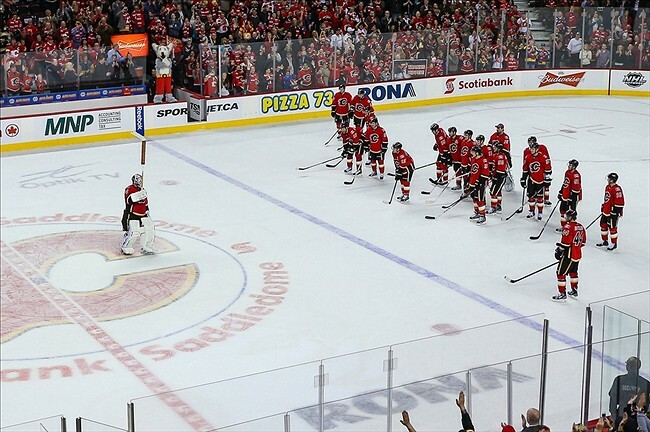 Kiprusoff may not go out with much fanfare, but he seems focused on going out in style -- something he certainly did Wednesday night as the game's shining star." After rounding out the season -- and most likely his career -- on the bench watching Joey MacDonald audition for Kipper's old gig, the bearded Finn will no doubt punctuate garbage-bag day by doing his annual backdoor dash. No sayanora (or however you say goodbye in Finnish) news conference thanking the fans, city or organization for embracing him and his family over the years. After years of fishing pucks out of his net with a stunningly calm sweep, swig and stare at the Jumbotron, far be it for Kiprusoff to get all misty-eyed at the prospect of perpetual anonymity, peace and quiet in Finland's remote lake district. He'll leave just like he arrived; under the radar. The fact that Francis thinks that he was let down by Kiprusoff not giving the Flames, their fans, and the media more of a send-off is just another example of writers thinking it's a little more about them and a little less about the facts of the story that have been out there for a while. Even written by Francis himself. This is one day after Randy J. Miller of the South Jersey Courier-Post went on a Twitter tirade about Ilya Bryzgalov's antics in the locker room were the big thing that got him bought-out by the Flyers and not the media scrutiny that Bryzgalov had implied during the season-closing interviews. Even with the traditional media bashing the new media of blogging and podcasting as something that is not needed in hockey media; the traditional media themselves may need to take a step back and not make themselves a part of the story as much as referees and linesmen shouldn't make themselves a part of the game with false face-offs and penalty junk. No player or coach or GM owes writers much of anything. Even if there's something pressing, just because the information isn't put out there doesn't mean the writer has to take it as a personal insult and then try to actually embarrass the organization by airing out their own personal gripes because they didn't get exactly what they wanted. This isn't the toy store and writers don't need throw a tantrum just because the overseer doesn't allow them to get something because the writer thinks they deserve it. 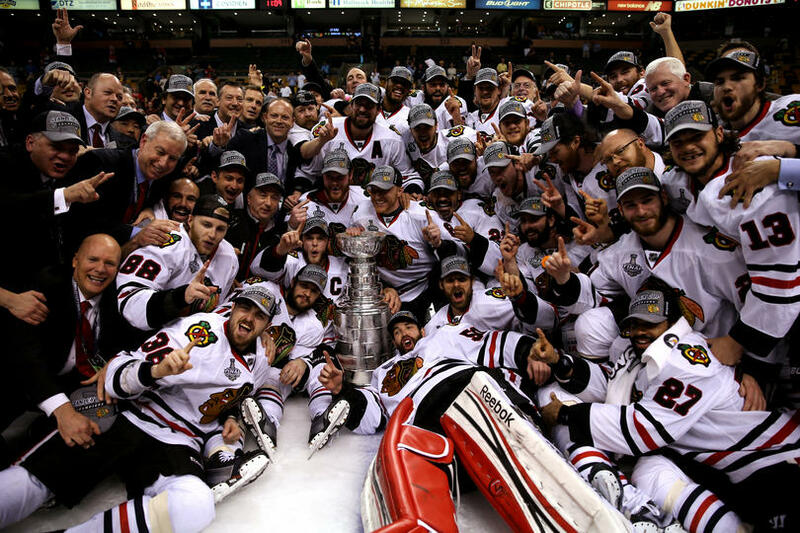 From start to finish, the Blackhawks were the team to beat. With an impressive start to the season, to dealing with injuries in their key positions, to dealing with a rough playoffs-- the Blackhawks used their core to get back to the promised land and get a second Stanley Cup in four seasons. Corey Crawford was the breakout star of the playoffs and the season for the Blackhawks. While some people draw parallels to the 2010 goalie star, Antti Niemi; Crawford did draw plenty of criticism for his inconsistent play, despite keeping the Hawks in many games. However, next year will be the litmus test for Crawford with a full season ahead, but the confidence he has to have now is going to be amazing. Upfront, the best offensive players were the best for the Hawks, with Conn Smythe winner Patrick Kane leading the charge and Jonathan Toews being the leader by example. The biggest thing for the Hawks is Brandon Saad coming into the line-up and contributing like he did. For a franchise to have the model to bringing up young players and getting them to contribute quickly, Saad just falls into line of what Kane and Toews did for the Hawks. Outside of the top two of Duncan Keith and Brent Seabrook, Johnny Oduya became the surprise for the Hawks, playing solid defense and contributing when needed on the offensive side, especially during his slide during the Atlanta/Winnipeg years. Nick Leddy contributed for the Hawks in the regular season, but did have some shaky times during the playoffs; which I'm sure will come into play during contract talks this summer. 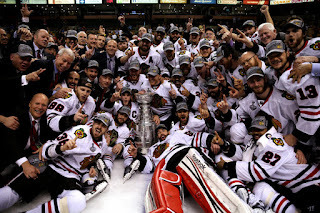 And speaking of contract, the Blackhawks may have to break-up some of their team as they did in 2010. With only $2M in cap space going into next season and two more players to sign-- not to mention UFAs and RFAs; the Hawks may need to do something creative in order to get some breathing room going into the season. Luckily, two amnesty buyouts are available and may have to be burned this summer rather than having to wait for next off-season. You can bet they won't think about that now. The party is on in the Windy City, the Second City, That Toddlin' Town, City by the Lake, City with a Lot of Nicknames-- and it won't be rained on today. 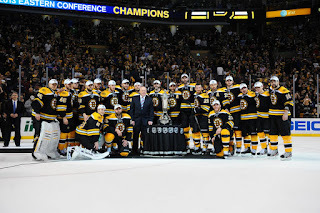 With a team who was hidden in the fourth spot in the East, the Boston Bruins overcame a first round scare and had the whole city on their back for the ride as they got to the Stanley Cup Finals, but the counterattack was a little too much for the Bruins, but a lot to build off of. One big bright spot is David Krejci's production in the playoffs, only seven points off his regular season output in 25 less games. With his budding performance, you can bet that Krejci will be the focal point along with Patrice Bergeron for the Bruins offense, despite them being a primarily defensive team. On the flip side, the snake-bit nature of Tyler Seguin's post-season is something that could be a worry going forward if he can't shake it off. The play of Tuukka Rask definitely made the Bruins fans forget about Tim Thomas's off-ice wrangling; though many though Rask was more than ready when Thomas was already there. Keeping the Bruins in many games and facing a ton of shots, Rask is showing that he could be considered a top-tier goalie, so long as his temper and focus are kept in check. The young guns on the defense, Torey Krug and Dougie Hamilton, are going to be maturing more and more as the summer and into next season comes. Krug had an early showing of what he could do in the playoffs to start and should be able to build off that, while Hamilton got a taste of the experience though he didn't play all that much. It is still Zdeno Chara's defense, though the Blackhawks seemed to have a game plan that worked against Chara's size and strength. For the Bruins, it's a bright future and continues to have a nice little feeder system working for them that allows their younger players to get into the line-up quickly and the system that's in place allows them to succeed on the big stage and allows them to get noticed quickly. While this defeat hurts, the fact is that they'll be able to learn from it on the fly and adjust as needed. This installment includes a goalie who has his own attachment to a certain Bruins/Blackhawks match-up, though it was in the beginning of the season rather than the end. For a man they called "Seaweed" due to his hair, he had a small shelf-life, but he'll live on thanks to that and being a main part in a well-known novel. This week, the profile of Jim Pettie. Starting in the 1972-73 season, Pettie played in the OHA for the St. Catherines Black Hawks for 31 games and registering a 5.04 GAA in that span. It wouldn't deter the Boston Bruins from picking Pettie in the 9th Round of the Draft in 1973. Pettie made the jump to the pros during the 1973-74 season, playing in the IHL with the Dayton Gems, playing in 118 games between the 1973-74 season and the 1975-76 season (no record provided). 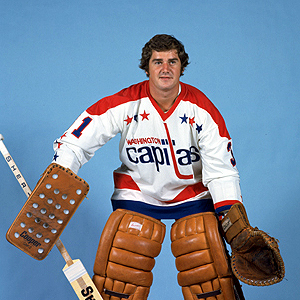 During the 1975-76 season, Pettie went 12-3 in the Turner Cup playoffs to help the Gems win the Turner Cup. During that run, Pettie played in the North American League for the Binghamton Whalers for five games. The Bruins gave Pettie a boost in the 1976-77 season, placing him in the AHL with the Rochester Americans, where he would play 43 games and have a record of 26-15-1, then go 6-5 in the playoffs. 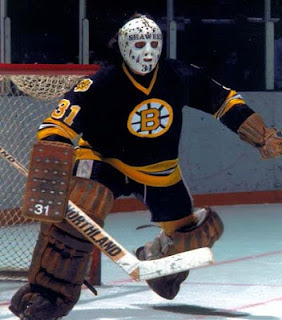 Pettie was called up to the Bruins and won his only game; which was the first time a Bruins goalie would play against Bobby Orr-- who was with the Blackhawks at the time. At the start of 1977 training camp, Pettie was roomed with author George Plimpton as the latter was doing research for his upcoming book, "Open Net." Because of that, Pettie was referenced in the book plenty of times. Pettie returned to Rochester for the 1977-78 season, posting a 16-12-4 record in 32 games, while losing his only game when he was called up to the Bruins. During the 1978-79 season, Pettie was up with the Bruins for most of the season, going 8-6-2 in 19 games as the back-up. Also that season, Pettie went 0-7-1 in nine games with Rochester. Before the 1979-80 season, Pettie was signed by the New York Rangers, but was placed in the AHL with the New Haven Nighthawks, going 16-13-3 in 33 games; then 1-1 in the playoffs. For the 1980-81 season, Pettie played with the Central League's Birmingham Bulls, playing in 21 games with a GAA of 5.50, while also playing one game for the Eastern League's Richmond Rifles, which was a loss. After that season, Pettie would retire. Not for long in the NHL or hockey in general, Pettie does live on in a well-known book and has the distinguished honor for being the first Bruin to play against Bruins legend Bobby Orr, so despite not much of a stat-line, he'll always have those things to hang his hat on. If the reports out of the Denver Post saying the Colorado Avalanche won't take Seth Jones with their 1st overall pick are true, we could see the Avalanche making a once model franchise become the punchline of many jokes to come. While there are many who think Sakic could be using this in order to get a better offer in a trade, odds are that they are serious about taking a forward because.....well, I really don't know why. While the debate rages whether or not you should pick for need versus picking for want, it seems the Avalanche are taking the latter, thinking that it could boost their offense to pick either Nathan MacKinnon, Jonathan Drouin, or Alexander Barkov. Any of the top-three skaters would help out the Avalanche for the short-term and for personal numbers, the long-term vision may be skewed. Sakic saying the forwards are too good to pass-up is one thing, but on his first months onto his job; it seems that he didn't take a full vision of his roster. Any of those players will be projects, but it seems that the Avalanche are looking more towards a quick fix with a forward who can blend in with the crowd rather than take the time to build up a franchise defenseman like Jones is projected to be. While Erik Johnson is the top guy on the Avs roster, the depth behind him isn't the best. Jones would be a franchise player and help the offensive output for the defense. With the free agent market being somewhat unspectacular-- the trade market could be the only way for them to improve their blue line this summer. This whole report is adding to the reunion of the better years that the Avs have put in the front office and behind the bench. It almost seems that, instead of trying to improve the team, the Avalanche are trying to bring the shiny names from the past and preach patience to the fan base as they go through some clunky times. There was a small light with the Avalanche's 2010 performance, but since then it's been quite shaky and doesn't look to be going too much better in the long-term. Not to mention that Greg Sherman is still the team's GM is another target for ridicule for this team, but the bigger legend names who used to be with this team coming on board with the front office mask that as much as the struggles during the season. Yet, in the end-- Sakic could be swerving everyone and trying to get more talk for a trade for the first pick to leap over the 2nd and 3rd picks to get Jones and make sure other teams don't get there. 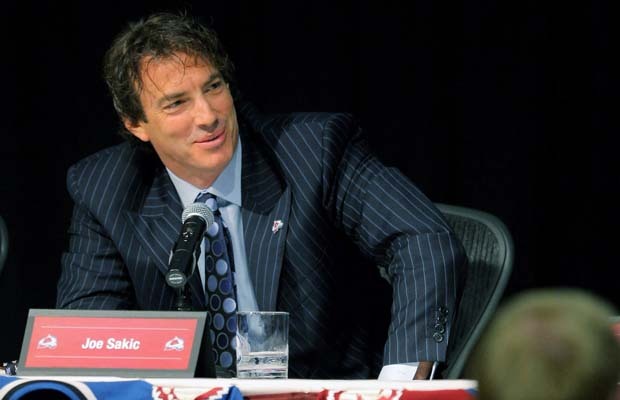 Of course, if Sakic is misleading people-- especially after saying they wouldn't hire a coach out of the major junior system-- you have to wonder if it's good to have a guy who has no front office being so quick to lie about what's going on with his franchise. This week's AGM is a guy who almost gave up before his career was able to take off. With the pressures of a young starting goalie in a certain market, it was almost too much for this week's goalie-- but he was able to level himself off a bit and made a decent career for himself. This week, the profile of Roberto Romano. Romano started off in the QMJHL playing for the Quebec Remparts in the 1979-80 season, going 20-14-3 in 52 appearances, then 1-2 in the post-season. During the 1980-81 season, Romano would play in 59 games for Quebec and post an even 24-24-2 record (1-2 again in the post-season), while playing only one game for Quebec in 1981-82, which was a loss. Romano was traded during that season to the Hull Olympiques and played in 56 games and finished with a 34-17-2 record and then 6-7 in the playoffs. As an undrafted goalie, Romano finished his junior career as a free agent. The Pittsburgh Penguins signed Romano before the 1982-83 season, playing most of that time in the AHL with the Baltimore Skipjacks. With Baltimore, Romano went 19-14-3 in 38 games, then finishing with an 0-3-0 record with the Penguins that season. For the 1983-84 season, Romano went an impressive 23-6-1 with Baltimore before being called up to the Penguins and going 6-11-0 in 18 games. It wasn't a stellar 1984-85 season, as with Baltimore, Romano posted a 2-8-2 record; but in Pittsburgh-- the record of 9-17-2 was enough to make Romano think about retiring after that season. Trying to earn his teammates and his organizations trust back, Romano fought back in training camp and was somewhat better in the 1985-86 season, finishing with a 21-20-3 record. It was a hectic split season in the 1986-87 season for Romano, spending five games in Baltimore (0-3-0) while also spending 25 games in Pittsburgh (9-11-2) before adding some other destinations to his resume. On February 6th, 1987, Romano was traded to the Boston Bruins for Pat Riggin. Romano played one game in Boston that season (a loss) and appeared in relief for one game with the team's AHL affiliate, the Moncton Golden Flames, but didn't figure in the decision. The 1987-88 season saw Romano play for the Maine Mariners for 16 games and ended up with a 5-8-1 record. After that season, Romano went international and went to Italy to play. From the 1988-89 season until the 1992-93 season; Romano played with HC Merano, HC Bolzano, HC Milano Saima, HC Milano, and Romano gained his Italian citizenship; which allowed him to play for Italy in the 1992 World Championships. Returning to North America in the 1993-94 season, Romano signed again with the Penguins and knew that the IHL's Cleveland Lumberjacks would be the destination of choice. With Cleveland, Romano went 2-7-2 in 11 games; but due to injuries, Romano was called up to Pittsburgh for two games and went 1-0-1 in that times. After that season, Romano hung up the pads. For a player who was on a subpar team and almost quit because he wasn't playing up to snuff-- Romano was able to actually rebound (all things considered) and make a steady career for himself. It also allowed him to actually get outside of North America and experience his Italian heritage side and representing that nation. 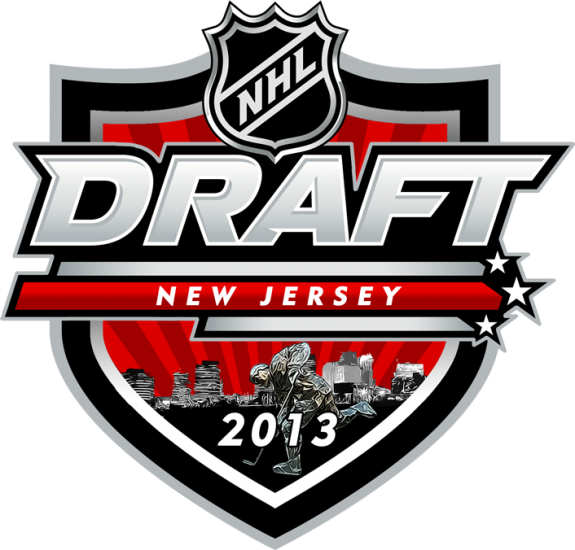 As we await the rest of the Awards and Game Two to start, we must be reminded that we're just two weeks from the annual NHL Draft. While it's only one day this year, many say it's the DEEPEST DRAFT EVER!!! They also say that about every other year, but that's besides the point. Because of the organizational depth, what's on the board, what's on the rankings, and some comments made by prospects about wanting to only play in the NHL, it could cause some havoc after the top three picks. Now, I will make a note of this-- these picks are how I think some things will play out if the draft board is to remain the same. With the Blue Jackets and Flames carrying THREE first round picks, you can bet they will barter a deal here and there in order to get rid of them and get some roster players to fill out their team. Also, with picks 29 and 30 still undetermined because of the Stanley Cup still going on, I'll put out what the team will do rather than the positioning. So there's that. All purely speculative and shows I could have as good a chance as any to pick them all right. The crazy thing is that with most teams, you won't be able to figure out their mindset from some picks (Mark Jankowski at 21st over anyone?? ), but I think this year could be very straight forward with many team playing by the book at least in the first round. It's come to this. 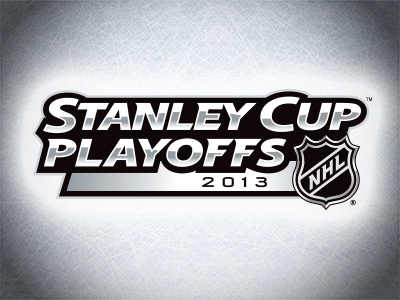 We've all waited nine six long months for the Stanley Cup to be presented and the Finals are just a day away. Why not be like the other cool kids and actually make a pick that will be a 50-50 shot because I'm either right or wrong. 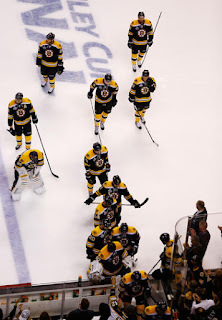 Out of the East are the Boston Bruins, who were pushed to the brink in the first round; but since then have been world beaters. You can almost sense that the first round scare could have been a wake-up call this team needed to stave off the likes of the Rangers and Penguins. But the Bruins are a scary bunch. They have all the tools to be a successful playoff team and are a team that will battle for every piece of land out there. Brad Marchand and Milan Lucic have lead the charge with their hard-nose play, while David Krejci and Nathan Horton have produced fantastically for the Bruins this post season. When it comes to defense, you can't bet against Zdeno Chara, who provides pleny of intangibles, but with Torey Krug coming on like a house of fire this post-season has been a great surprise. With Johnny Boychuk and Adam McQuaid holding down the fort in their own end, the Bruins seems impenetrable. And even if they get past them, Tuukka Rask shut down one of the most prolific offenses in the NHL today last round and has had plenty of support to help him along the way. One big thing is that he has been strong mentally, not letting the junk in front of the net or a bad goal get to him and making him bust out into his rageful mood. 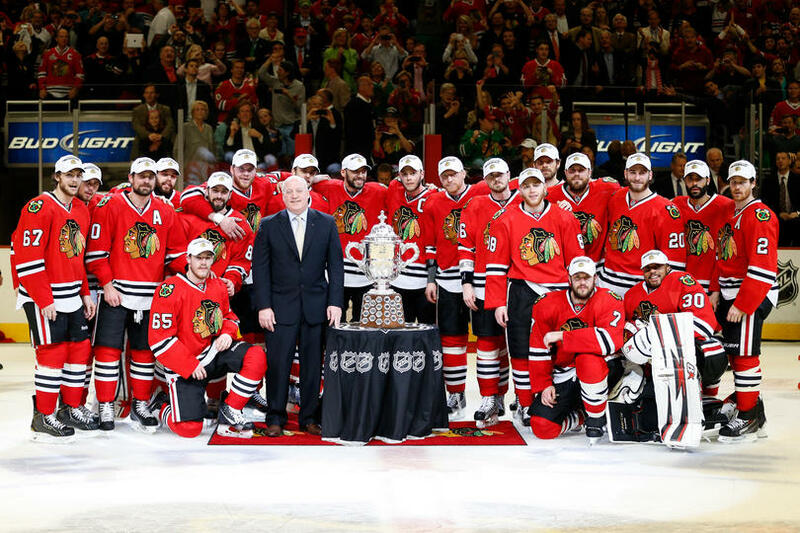 Out of the West, the team that has been one of the top teams from start to finish-- the Chicago Blackhawks. Much like the Bruins, they've had to come back from a series-- granted they were down 3-1 and not up--and have showed their guile and depth, especially with their top players not filling the net as many would have hoped. In that, I mean that Jonathan Toews and Patrick Kane haven't been setting the scoresheet on fire, sans Kane's last game in the Conference Finals with a hat-trick. That said, the scoring has been spread around, making the offense a decent threat regardless of the line out there. Defensively, the Blackhawks have had it a little rough, with Brent Seabrook not having the best playoffs-- but Johnny Oduya coming up clutch for the Blackhawks in their own zone, as well as making that first pass to create offense. Michal Roszival has also played rather well on the third pairing. Duncan Keith, despite the one-game suspension, has been the offensive leader on the defense. In net, Corey Crawford is looking like Antti Niemi did when he was in net for the Blackhawks' Cup run in 2010 (observation by Lyle Richardson). While he hasn't been extremely extraordinary-- he has gotten the job done and been able to get the wins needed to get the Hawks to this point. He's not the most flashiest and may give Hawks fans fits, he has gotten the job done in a big way. So, prediction time: Boston is very scary. They have all the tools needed in order to actually take this series handily, but Chicago won't let their record start be tarnished with a pathetic showing at the end of the year. 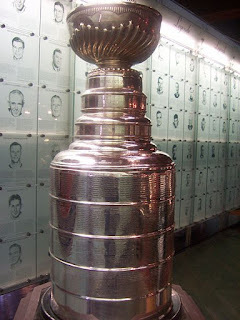 With that all in mind, I feel the Blackhawks will take Lord Stanley's Cup in six games. While many of the past goalies have toiled at their craft to be successful, this week's AGM took an unusual route. While he may not have been outfitted from the start, he lucked into the position and thanks to his baseball background, he was able to excel in net with a solid glove hand. This week, the profile of Jack McCartan. McCartan fell into the goalie position, playing the spot in youth hockey when all the players too rotations in net, but didn't have the proper gear for it. McCartan acquire the gear of a friend, which enabled him to play for St. Paul Marshall High School and while his team was often defeated, McCartan played well enough to be name to the All-City Team in his senior season of 1953. While he was recruited for a baseball scholarship, McCartan was lured back into hockey when at the University of Minnesota by hearing the puck bang against the boards when going to ball practice. After playing for the freshman team to start, McCartan played with the Golden Gophers for 67 games from 1955-56 until 1957-58, being named to the WCHA First All-Star Team in 1957 and 1958, and named to the NCAA First All-American Team in 1958. McCartan continued his amateur aspirations in order to try out for the Olympic team, playing for the US National Team in the 1958-59 season for 29 games. 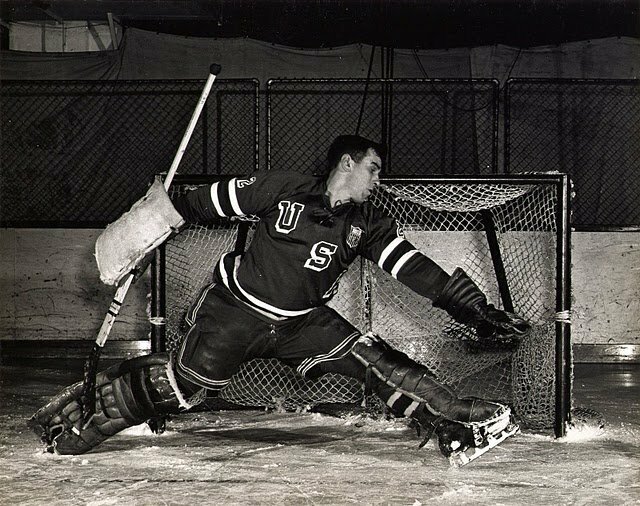 McCartan did make the 1960 Olympic team, playing the unlikely hero for the underdog team that won the Gold Medal, as McCartan went a perfect 5-0-0 during the games and being named the Best Goaltender for the Olympics. That exposure was notice by the New York Rangers, who signed him to a try-out contract following the Olympics, where he would play in four games and go 1-1-2 before being sent down to the Central League's Minneapolis Rangers for five games. The 1960-61 season had McCartan play only eight games for the Rangers (1-6-1), then being sent to the Eastern Pro League's Kitchener-Waterloo Beavers for the duration of the season, finishing with a 25-21-6 record in that span and 3-4 in the playoffs. Staying with the Beavers for the 1961-62 season, McCartan played in 70 games and posted a 36-24-10 record, then 3-4 again in the playoffs. The Rangers would trade off McCartan to the WHL's Los Angeles Blades in the inter-league trade. McCartan played with the Blades for the 1962-63 season, putting up a 31-27-2 record, then 1-2 in three playoff games. The Chicago Blackhawks would claim McCartan in the inter-league draft before the 1963-64 season, being relegated to the Central Pro League's St. Louis Braves and went 31-30-6 and 2-4 in the playoffs. McCartan only played in five games for the Braves in the 1964-65 season, going 1-4-0 before being on the move again. The Blackhawks traded McCartan back to the LA Blades for the rest of the 1964-65 season, going 8-22-2 in the last 32 games of that year. McCartan stayed in the WHL for the 1965-66 season for the San Francisco Seals, going 23-27-3 in 53 games, while in the 1966-67 season for the California Seals; McCartan put up a 25-26-10 record, then 2-3 in the playoffs. The 1967-68 season had McCartan playing in the CPHL again, this time for the Omaha Knights, but would go 9-25-7 in the 43 games he played. After some summer shuffling, McCartan landed with the San Diego Gulls before the 1968-69 season, posting a 20-14-6 record in his first season there. Coming back for the 1969-70 season, McCartan got more games under his belt, finishing with a 21-20-9 record then 0-3 for the playoffs, while during the 1970-71 season, McCartan finished with a 24-20-11 record and 2-4 in the playoffs. Finally in the 1971-72 season with the Gulls, McCartan played in 36 games and posted a 14-16-2 record, then 0-2 in the playoffs. With the WHA coming along, it gave McCartan another shot at the pros, as he was picked up by the Minnesota Fighting Saints in the 1972-73 season, playing in 38 games and having a 15-19-1 record, but only saw two games of action in the 1973-74 season for the Saints, but only in relief. McCartan went to the Southen League during the 1973-74 season for the Sun Coast Suns for six games (no record provide) as well. McCartan came back to the Saints for the 1974-75 season for two games, going 1-0-0 before hanging up the pads for good. Post playing career, McCartan was a scout for the Vancouver Canucks for a time before he retired to Eden Prairie, Minnesota. For not directly wanting to play goalie, McCartan got a lot of mileage from his career thanks to being able to get equipment from a friend and being lured back into hockey just from the sound of the puck hitting the boards in college. Though he toiled in the minors, his amateur career was more than enough for him to be remembered for the long run. After getting over the hurdles of the first round, the defending Cup champions looked as if they were going to be the team to beat in the West. However, their defense-first mentality just wasn't able to stop the top team in regular season, thus making it 15 years since there was a repeat Stanley Cup winner. Defensive teams need a solid goalie and that's what the Kings have in Jonathan Quick. After a shaky start-- Quick showed off his Conn Smythe ways in the playoffs and proved himself capable to living up to the long-term deal the Kings signed him to, especially after back surgery in the off-season. The question now lies on whether or not Jonathan Bernier wants to stick around, knowing that he won't get a chance any time soon to be the starter. Of course, he's a restricted free agent and the goalie market will be slim pickings...so odds are he'll stay in LA for the short-term. Offensively, Jeff Carter was the Cy Young winner in the NHL (much more goals than assists) and helped out for filling the net, while Anze Kopitar kept getting better and better. Overall, the Kings were the solid, evenly distributed team that really had scoring by committee. 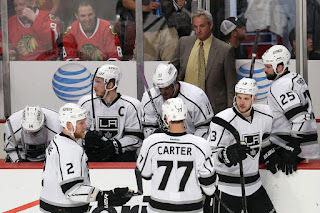 Outside of Carter, (and maybe Dustin Brown), the goal scoring wasn't too spread out-- which is good for useful getting everyone involved, not allowing opponents to focus on one line or player. On the blue line, there's a lot of valuable RFAs, but only $11M left. Slava Voynov and Jake Muzzin will probably want their money for their performance this past season, but whether they get it in LA is another story. Yet, with buy-out candidates being mulled over, you can bet the Kings will be able to free up the money to make sure their valuable pieces don't get away from there. Under Dean Lombardi and Darryl Sutter, the Kings look to be in good hands-- so long as neither of them do anything to divide the room and break apart the great chemistry they have. They were hungry again for the Cup, but just ran into a team with a lot of momentum on their side and a little more fire-power than they could handle. A top team in the Eastern Conference with all the fire power, leadership, and depth in the world. A hiccup in goal the first series didn't really deter them through the first two rounds, but no one thought they would only get two (TWO) goals in the four-game Eastern Conference Finals. For the Pittsburgh Penguins, you can bet that there may be a new look overall when the puck drops in the 2013-14 season. Granted, many people believe that coach Dan Bylsma is on the hot seat and I don't think that's necessarily true. While he wasn't able to adjust his team to the defense of the Bruins, the fact they couldn't really hit the net in the Eastern Finals is not really something he can overly teach or re-teach, that's on the player. The Pens brass have a lot to thank Disco Dan for, which is why his job probably isn't as in jeopardy as many others would have you think. 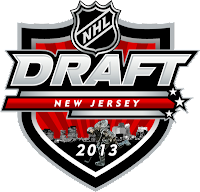 However, Bylsma could have a different look team when it comes to next season. Seven total UFAs on the roster and many thinking that Evgeni Malkin is on the trading block could make the Penguins have a drastic change. Though Malkin will probably get an extension in the summer; the thought that the Pens will have a total overhaul is a bit overblown. Sure, the trade deadline pick-ups they got will probably not come back, as with Matt Cooke, but it's not as if they can't get a suitable replacement for them. One big point of contention is what to do in net. This playoffs was a flop for Marc-Andre Fleury, who got yanked in the first round in favor of Tomas Vokoun, thus almost completing Fleury's free-fall from grace. While they probably won't use their amnesty buy-out on him this year, should he not be able to get his confidence back, it's a definite option in the summer of 2014. But, you have to imagine the Pens have to rely on Fleury, as Vokoun has one year left and may not be up to the task of being a starter anymore. 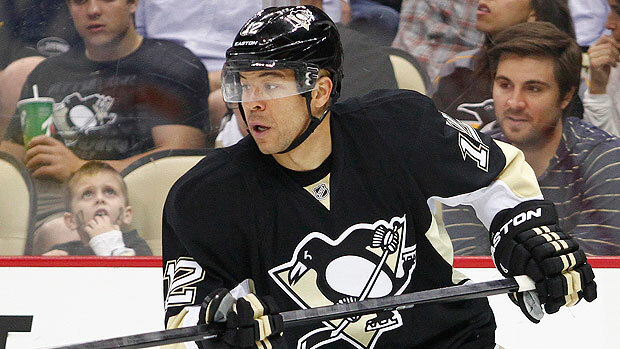 The Pens always have a knack for finding the next solid guy to plug into their line-up and still be successful. The system is a good one thanks to Bylsma and it should continue so long as he's there. While there may be a little change here and there, a complete blow-up of the team would be short-sighted and a sign of panic on GM Ray Shero's part. The Pens will be fine later on, but licking their wounds this summer after being swept will be on the top of their priority list. While the Boston Bruins celebrate and prepare for their second trip to the Stanley Cup in three years, there's some murmurs about what should have Jarome Iginla done in the aftermath of this whole series. Of course, Iginla publicly was going to head to Boston at the trade deadline, only to veto that and head to Pittsburgh instead. 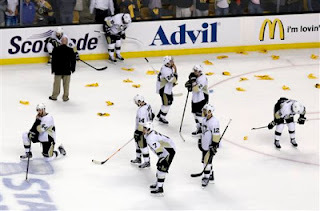 Little did anyone know that they would meet in the Conference Finals and that the Bruins would manhandle the Penguins. But do you really blame Iginla?? For the Penguins, they were the top dog coming out of the East and it was almost unthinkable to believe that they would get steamrolled the way they did. Hell, Iginla had 4 goals and 12 points heading into the playoffs and looked to be that secondary scoring that the Penguins need should the top line get into a funk. 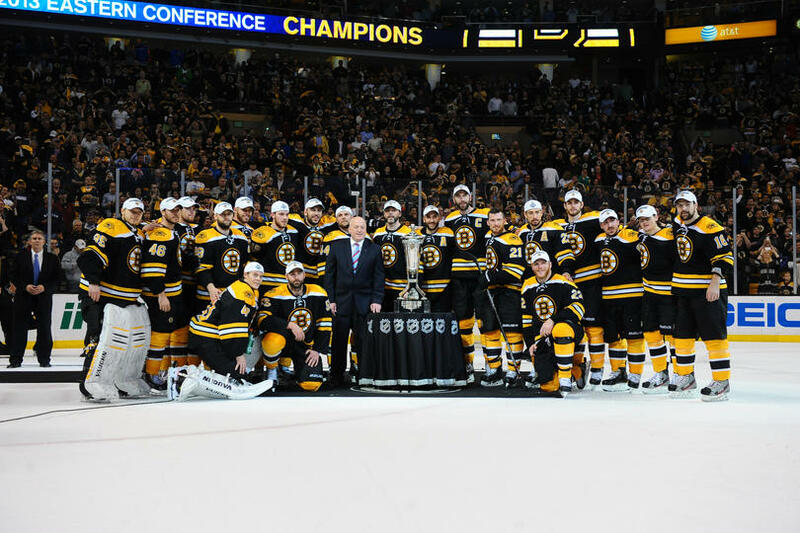 No one thought that the Bruins would shut the entire roster down. Now, with the Penguins out, Iginla a free agent, and the future being unknown-- did Iginla lose his last chance at getting with a real contender?? The Penguins probably won't bring him back unless he takes a massive pay-cut and assumes the role of maybe a bottom-six guy. It's not that Iginla doesn't bring some intangibles, but he'll be 36 next year and if he doesn't find a way to find more speed in his legs; not many contenders will use him to the fullest. That's not to say a team won't be salivating to get a leader like Iginla on their team, but they could shy away from what he could be asking for in order to be on that team. The league knows he wants to be with a contender in order to win a Stanley Cup, but will he and his agent, Don Meehan, be willing to take the pay-cut in order to get that ring?? For the most part, Iginla's ego won't be hurt to take the decreased pay, but at the same time-- will his agent be able to convince him that a possible low-ball deal be able to get him to a Cup Finals or will Meehan really go for that top dollar and try to sway Iginla for a fringe team on their way up over a sure thing?? A team like the Blues could benefit from Iginla being on the team, but would Iginla benefit from being there and maybe get to the second round rather than being on a top contender?? Maybe the Marian Hossa trick could be it, where Iginla goes to Boston in the summer-- doubtful-- but it could give him a puncher's chance. It's a tough spot for Iginla to be in, as he is a figure who is almost universally loved by fans because of what he meant to an organization like the Flames and the country of Canada for his play. Not only that, but he was talked about as being one of the league's top players before Sidney Crosby and Alex Ovechkin started the youth movement in the league. Whatever he chooses this summer, Iginla will make a decision after weighing all the options and will most likely go with his heart rather than go with the dollars. When players have seasons to forget, it's mostly because they were underachieving. This week's AGM had a season he and many others would want to forget-- being a part of the worst team in NHL history. This week, the profile of Michel Belhumeur. Belhumeur started off in the Quebec Junior League with Sorel Eperviers and played in only 11 games over a three seasons span between 1964 until 1967 and would go 3-8-0 in those games. Also in the 1966-67 season, Belhumeur spend time with the St. Jerome Alouettes in the Montreal Midget League, then was on Sorel's roster for the 1967-68 season, but no games were given. During the 1968-69 season, Belhumeur would play with the Drummondville Rangers and play for 34 games. Despite the lack of play, the Philadelphia Flyers picked Belhumeur in the 1969 Draft in the fourth round. and the Flyers would send Belhumeur to the AHL's Quebec Aces for two games in the 1969-70 season and then in the Eastern League for 14 games for the Charlotte Checkers. During the 1970-71 season, Belhumeur would play in 37 games with the Aces in the AHL and finish with a 12-15-8, the lose his only playoff appearance. The Flyers would move their affiliation to the Richmond Robins, where Belhumeur would end up for the 1971-72 season posting a 20-17-8 record in 45 appearances and was named to the AHL's Second All-Star Team. Belhumeur would get a chance with the Flyers during the 1972-73 season, playing in 9-7-3 in 23 appearances, while also playing in 12 games with Richmond (no record). For the 1973-74 season, back in Richmond, Belhumeur would compile a 13-23-7 record, then go 1-2 in three playoff appearances. The Washington Capitals would pluck Belhumeur in the Expansion Draft, which would prove to be rough for all parties involved. During that 1974-75 season, Belhumeur played in 35 games and wouldn't win a game, posting a 0-24-3 record with the only saving grace being the assist Belhumeur recorded-- the first goalie in Caps history to do so. Belhumeur would play in seven games in the 1975-76 season, going 0-5-1 before being sent back down to Richmond to play in the AHL; playing in 45 games and holding a 19-24-2 record and then 2-1 in the playoffs. As the 1976-77 season rolled around, Belhumeur moved to the Central League with the Tulsa Oilers, finishing that first year with a 17-12-3 in 34 games, then losing his only playoff appearance. The second year with Tulsa in the 1977-78 season, Belhumeur played in 24 games and finished with a 8-14-0 record and then 2-3 in five games. Starting in the 1978-79 season, Belhumeur moved to the North East League for the Utica Mohawks for 24 games, then to the New Jersey-Hampton Aces in the 1979-80 season for 11 games before retiring from the game. Belhumeur started his professional hockey with a team called the Aces and ended it with a team called the Aces. With all the craziness that was sandwiched between them is something many would want to forget, especially going winless in a season playing more than 10 games. Perfect in the West, squa-douche in the East. So, here we go-- we're looking at the Final Four, who-- oddly enough-- are the last four Cup winners. How about that. Reason: The Bruins have a lot of life after that first round and the Penguins still look like a vulnerable team-- so the nod goes to the inspired Bruins over the Pens. Reason: While Jonathan Quick looks like the goalie who stole games for last year's Kings, the offense of the Blackhawks could prove to be too much for the Kings defense-- especially if the Kings get a little listless offensively. On the verge of missing their first playoffs in forever, the Detroit Red Wings were able to actually get to the 7th game of the second round, though getting beat in overtime by the Blackhawks. While many thought they overachieved, these are the Red Wings and that's a tradition that never gives up. The core of the Red Wings offense is going to be together for a long-time-- especially if they re-sign Pavel Datsyuk to a long-term deal this off-season--but for some reason, they have been able to develop players to fit into their system for years. Many were skeptical of what Damien Brunner could bring to the table, but he could be one of the first European free-agents to make a big impact in the NHL, so long as he sticks to the Red Wings system. Up and down, the Wings filter in and out cogs in order to fulfill their needs. It's hard to fill the void that Nicklas Lidstrom left, but the Wings are trying with Niklas Kronwall and Jonathan Ericsson. Kronwall does bring the physical side and Ericsson the defensive side; but they are hard-pressed to have the full package player that Lidstrom was. With only Kronwall, Ericsson, and Jakub Kindl playing over 40 games, the stability of their defense is something that that could be called into question as the years go on. 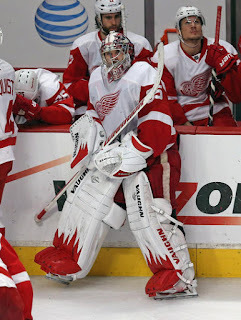 There are many who call Jimmy Howard elite, but I don't know if I believe that he's the Joe Flacco of the NHL. While Howard's number are decent, is that because of the system or his skill?? Many believe that Martin Brodeur was so good because of the system and scheme he was behind, but people give Howard the benefit of the doubt. Chris Osgood was able to win Cup rings with this Red Wings team in front of him, but Howard so far has zero. I refuse to believe that he's in that upper echelon of goalies without a ring or Conference championship to show for it. Many questions also surround Mike Babcock's future, as he has a couple more years with the Red Wings. Even if Babcock were to leave, the Wings have always been a team that has been able to replace coaches with relative ease, sans the Dave Lewis experiment. Should Babcock go in a couple years, the brass of the Wings should be able to fit in another cog to the machine-- much like their player roster-- in order to keep a successful franchise going.